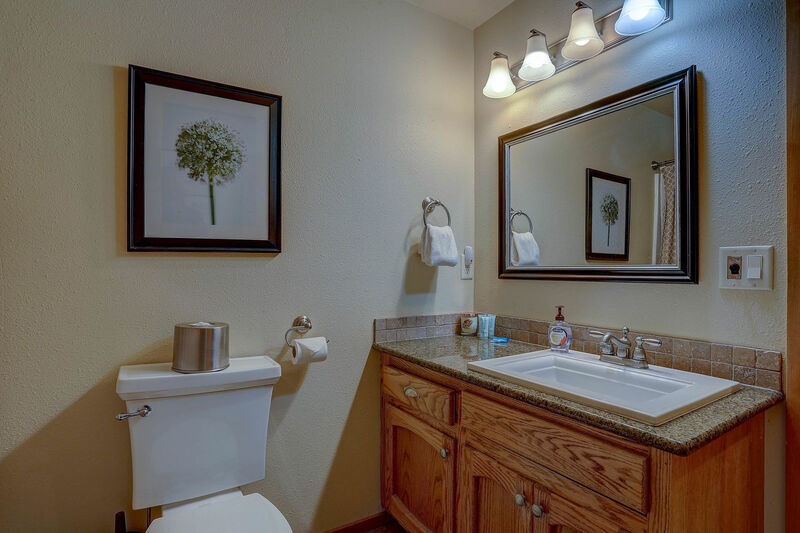 Rediscover yourself by staying in the charming two story home that is 3 Witch Hazel. 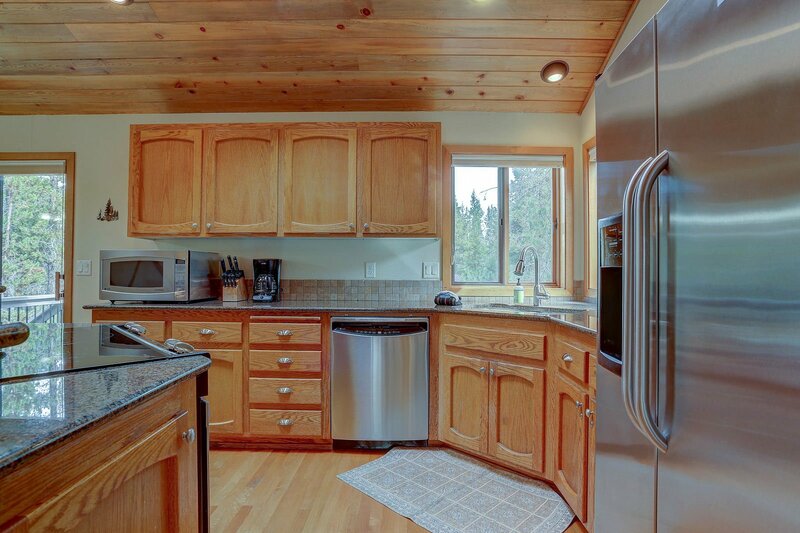 3 Witch Hazel is a beautiful 1580 sq. 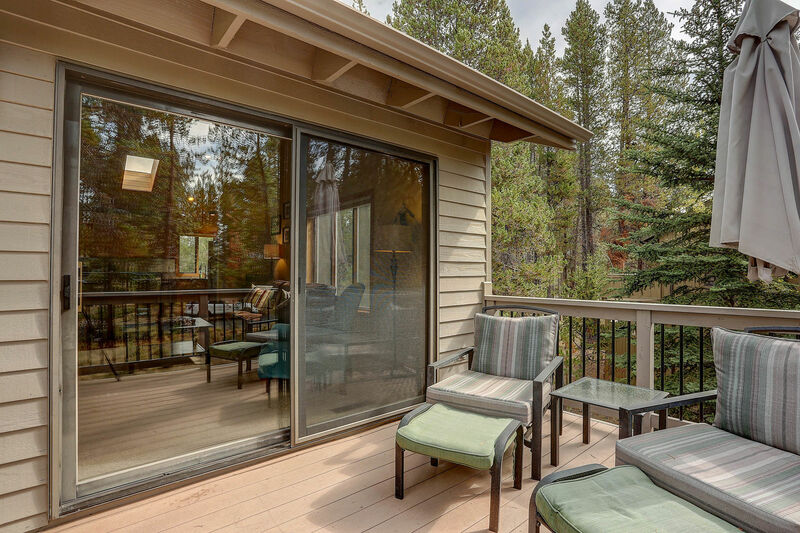 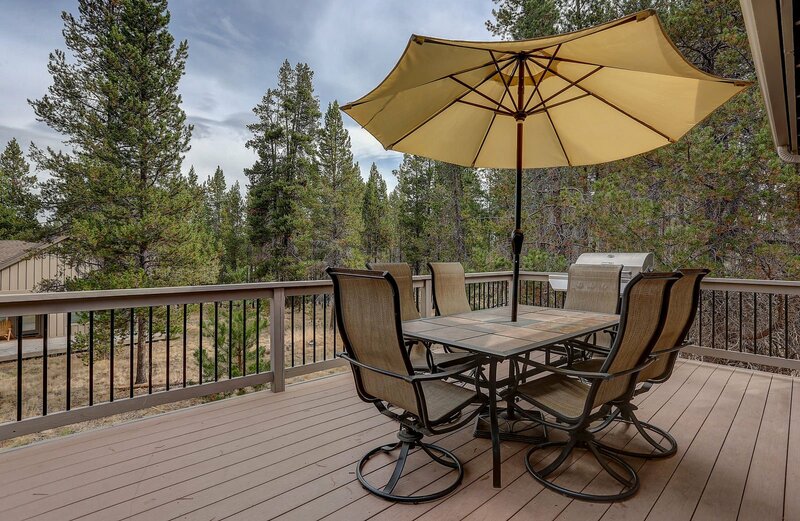 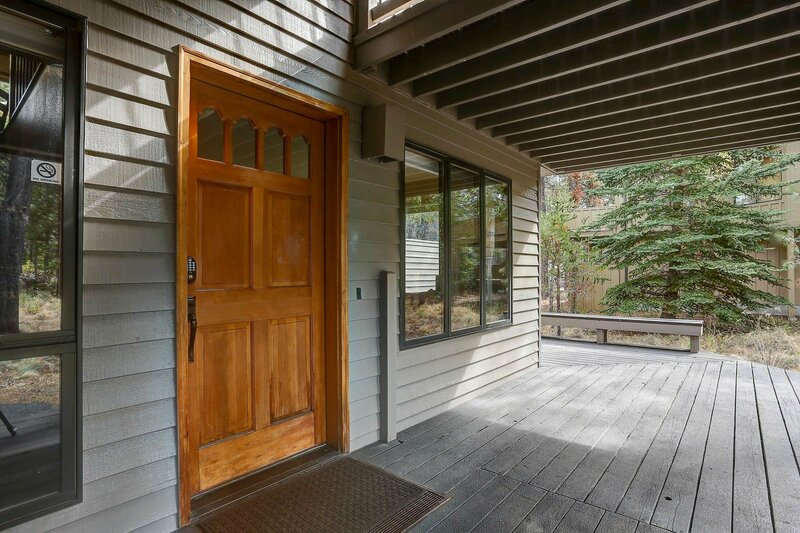 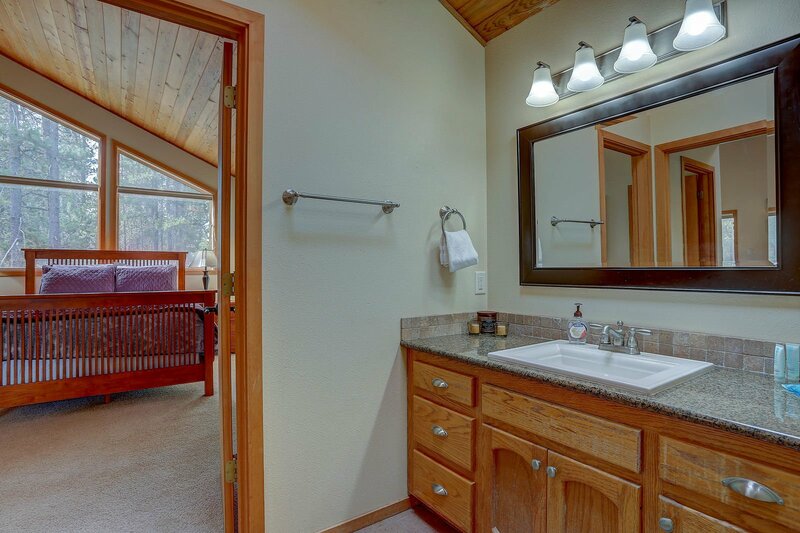 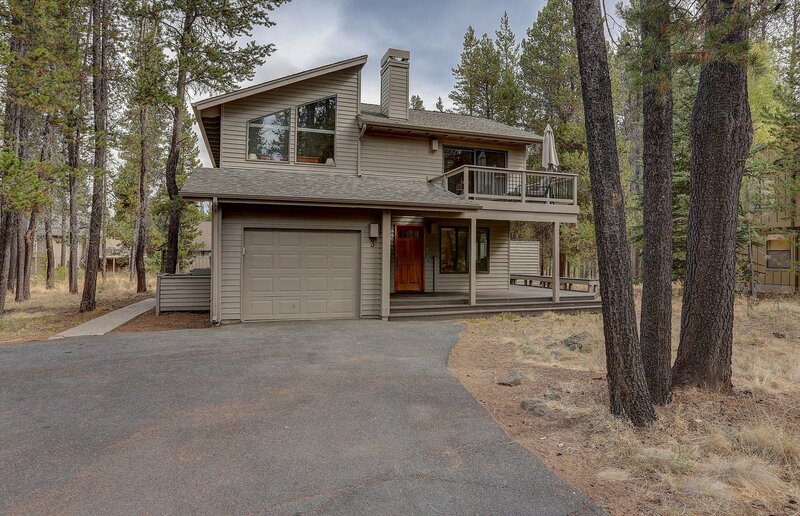 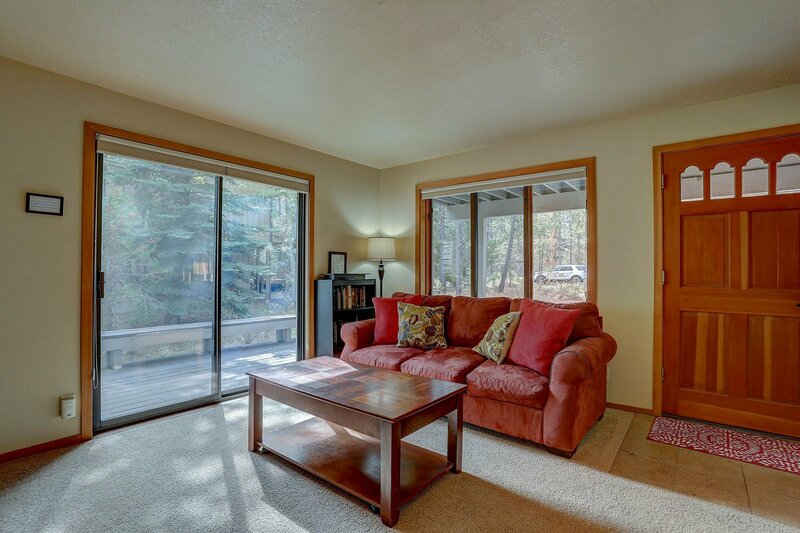 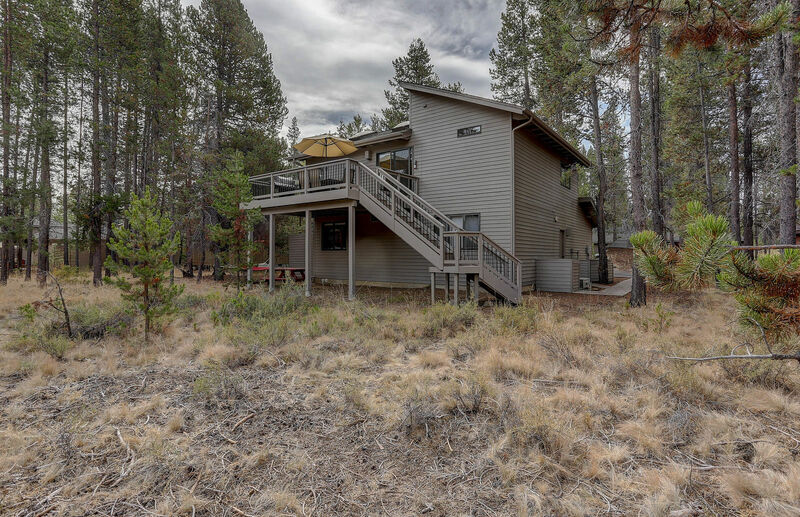 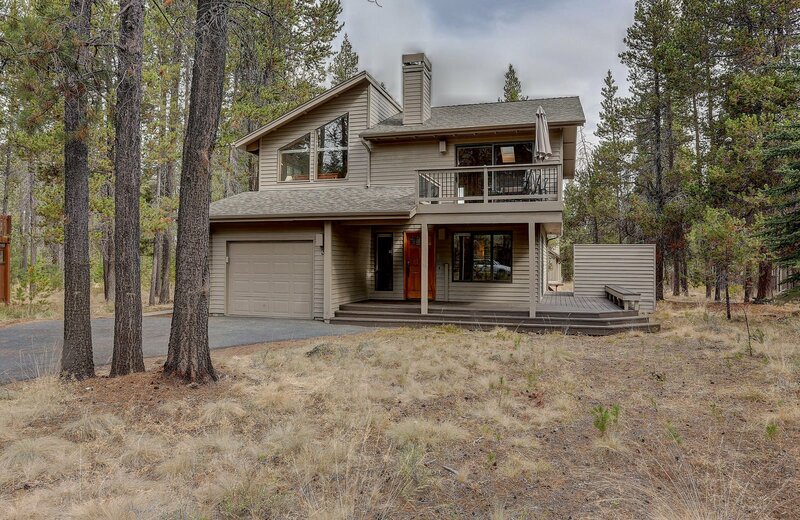 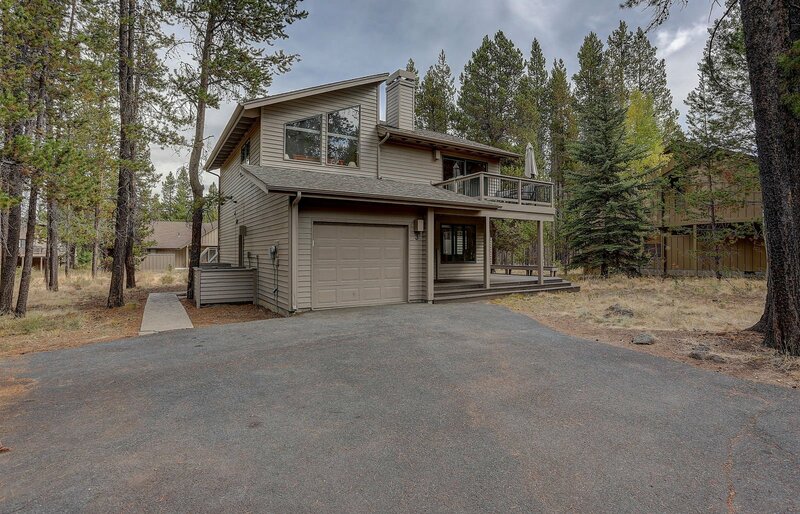 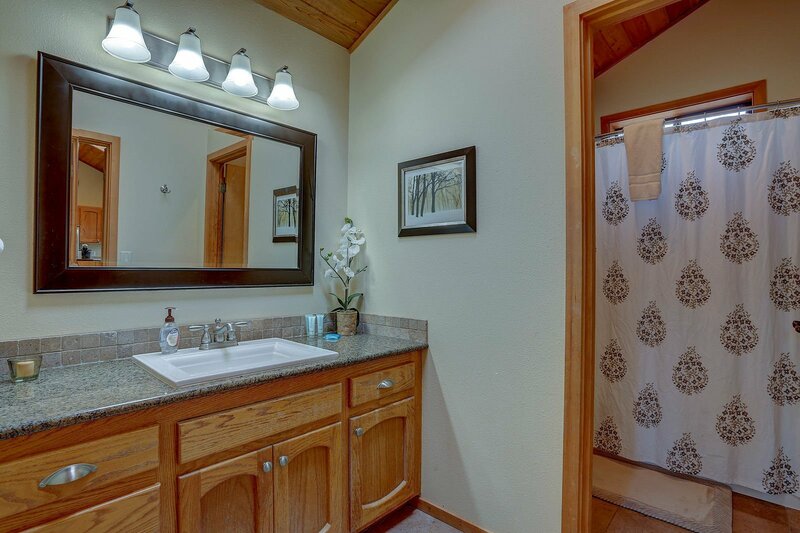 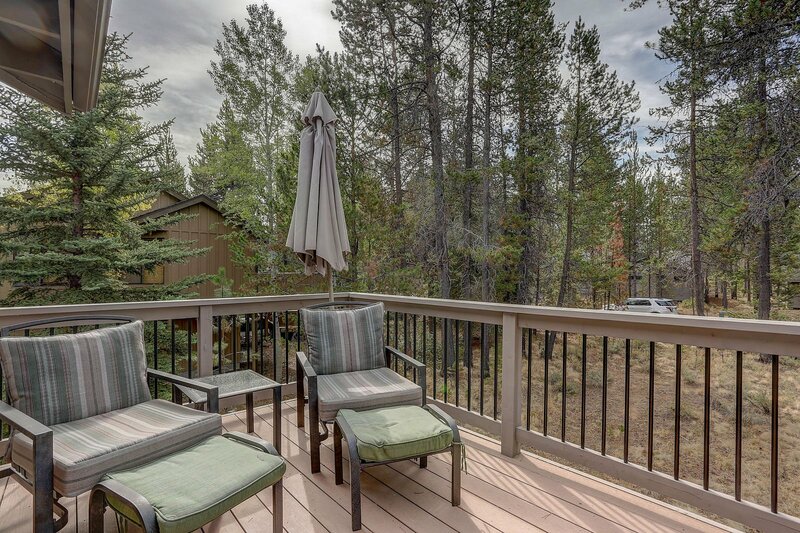 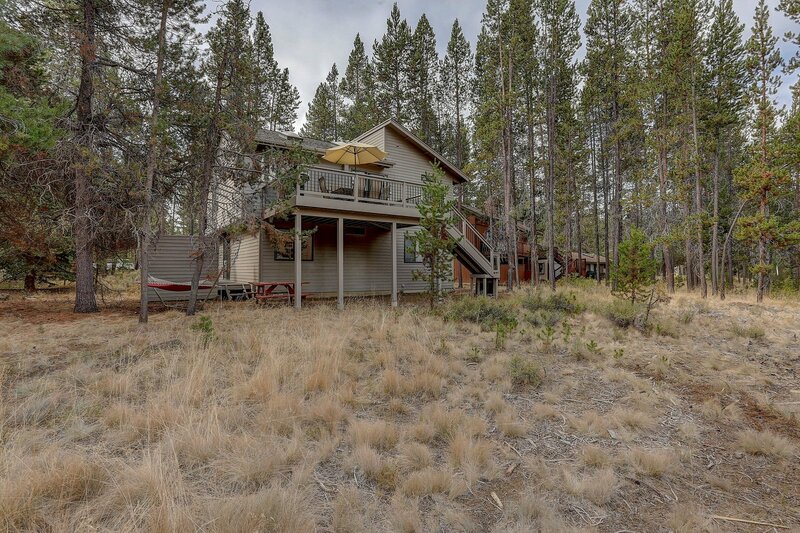 ft., three bedroom, two bath home located in a quiet neighborhood on the North end of Sunriver Resort. 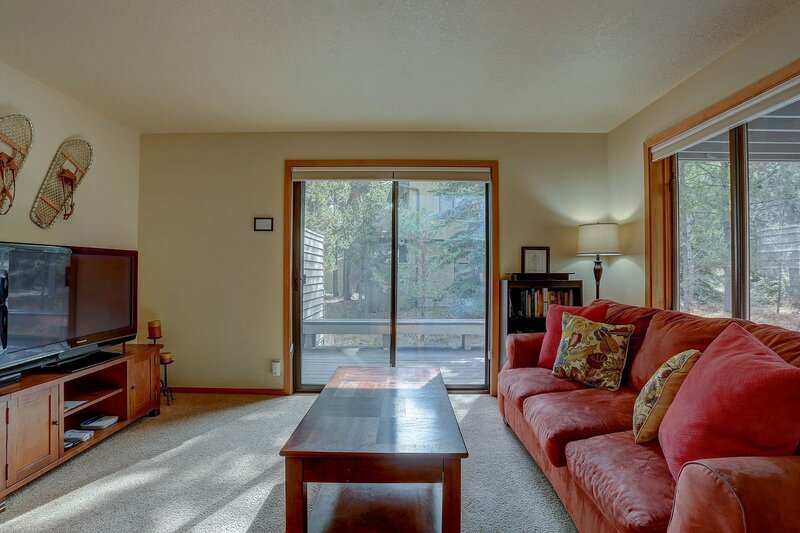 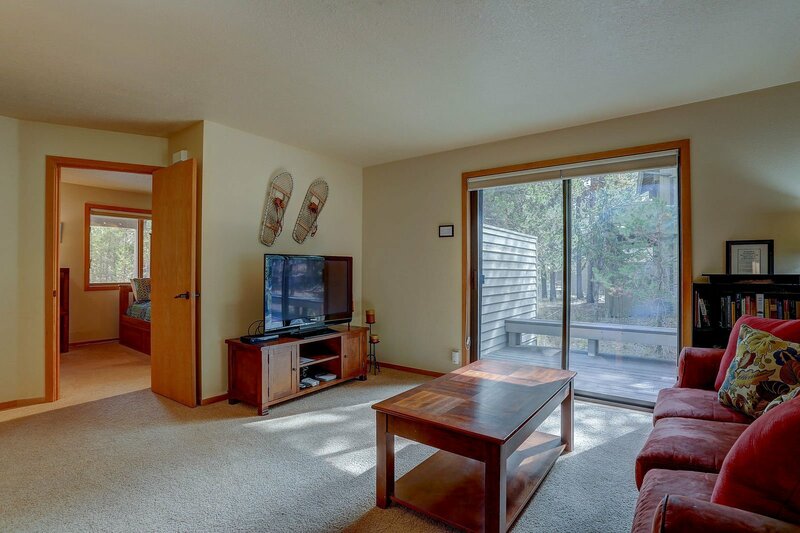 Step inside to a cozy living room on the lower level that offers a 42” flat screen TV, DVD player, and a Nintendo Wii! 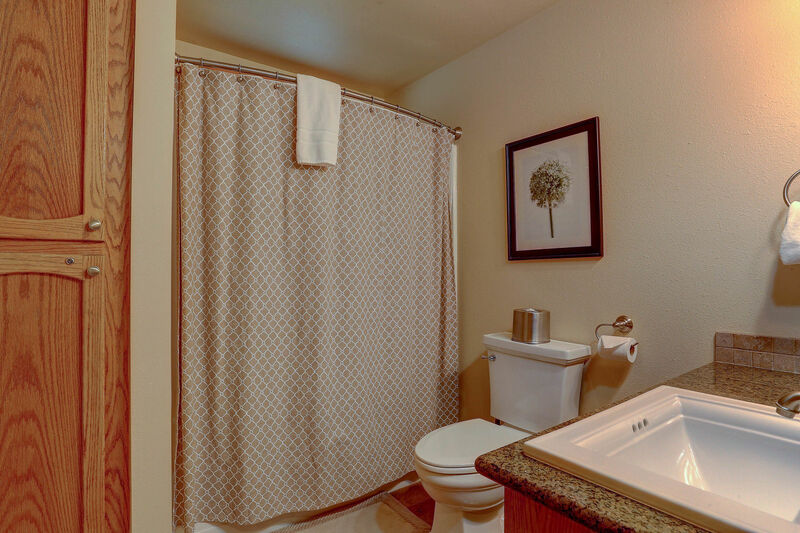 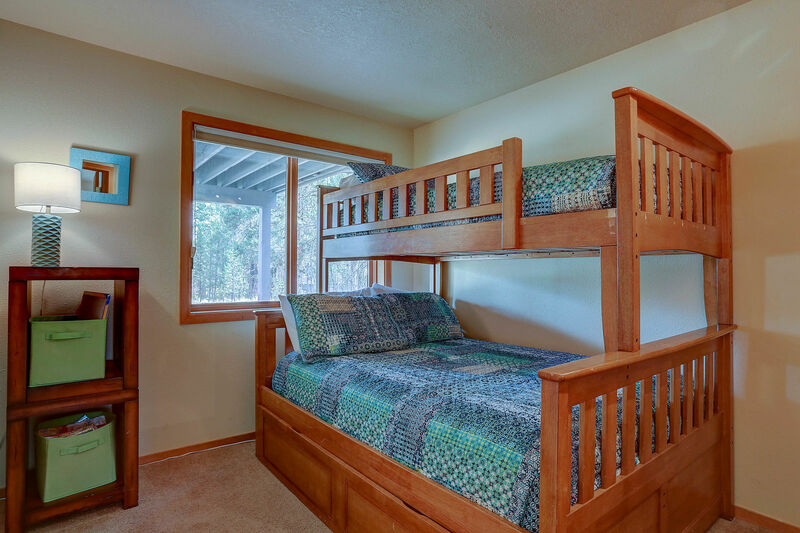 This floor also contains two bedrooms; one with a queen size bed, and flat screen TV, and the other with pyramid bunk beds that share a common bathroom. 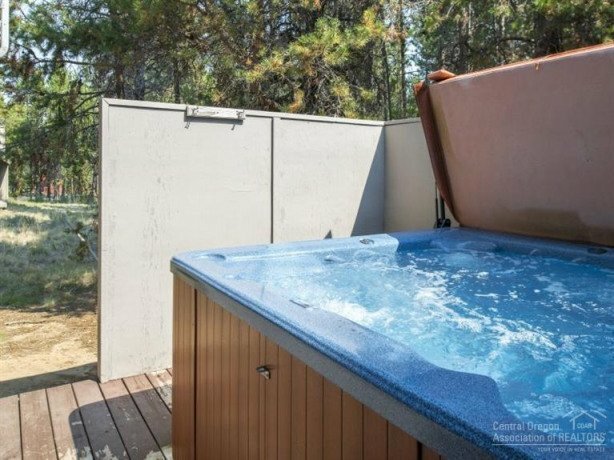 The second level features a spacious living area for family and friends to enjoy, equipped with a 48” flat screen TV, Blue Ray DVD player, and a gas fireplace. 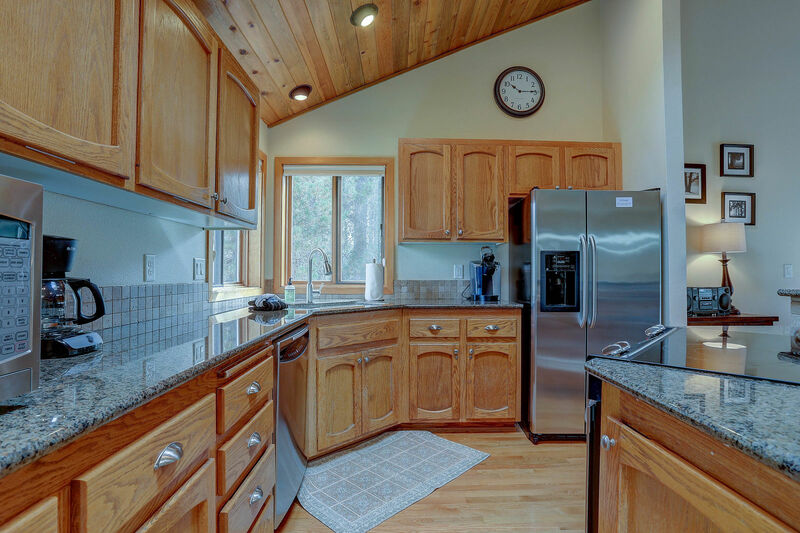 The kitchen has been updated with stainless steel appliances, granite counter tops, a center island, and hardwood floors throughout. 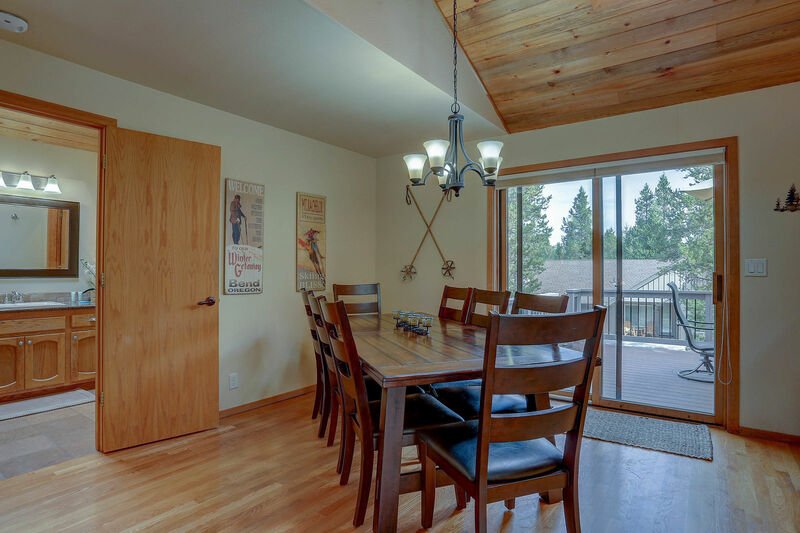 The dining room table is able to seat eight and three more can be seated at the bar. 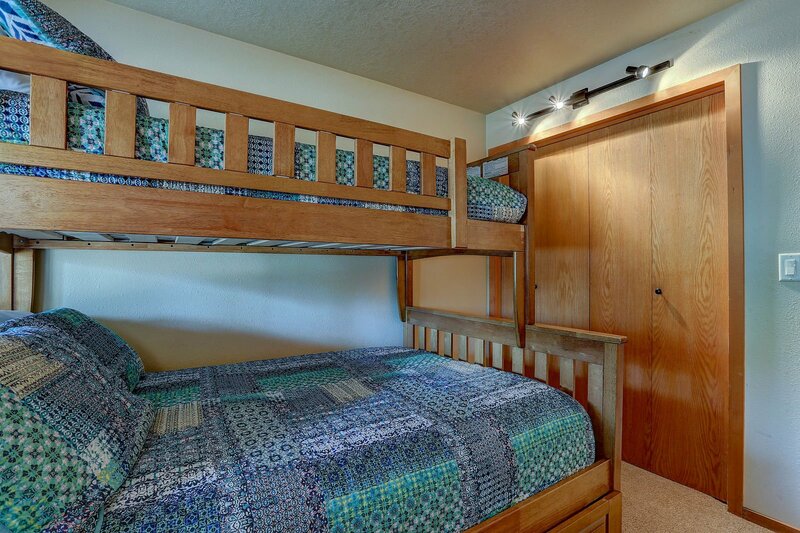 The master bedroom features a queen size bed, flat screen TV, and is attached to a full bathroom for guest convenience. 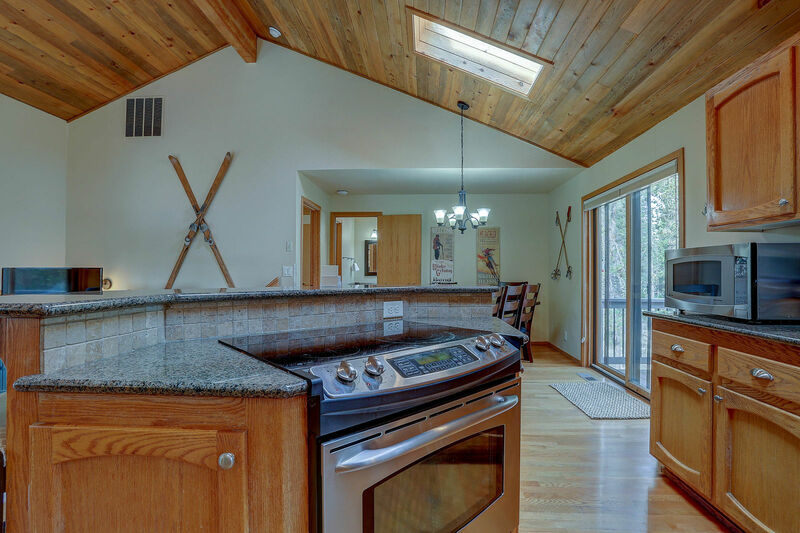 Enjoy natural light through two skylights located above the kitchen and dining room. 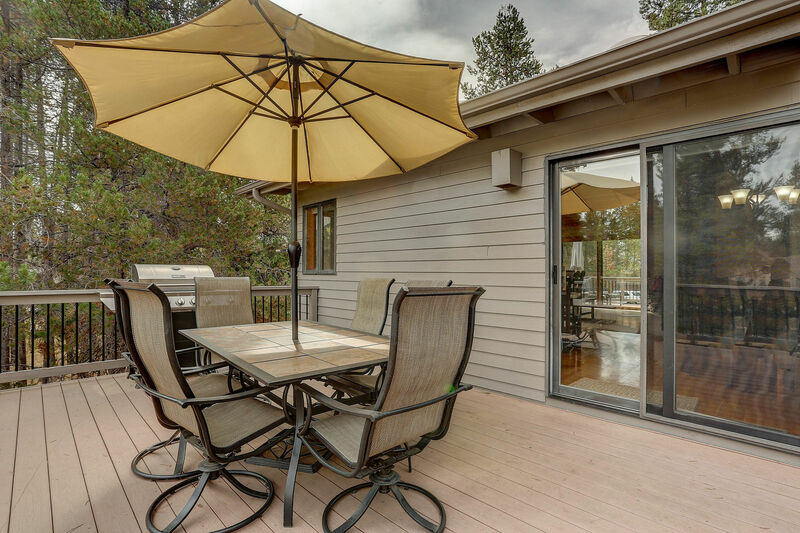 An upper deck off the family room offers cushioned seating for two, and another off the kitchen with a gas BBQ and table with six chairs. 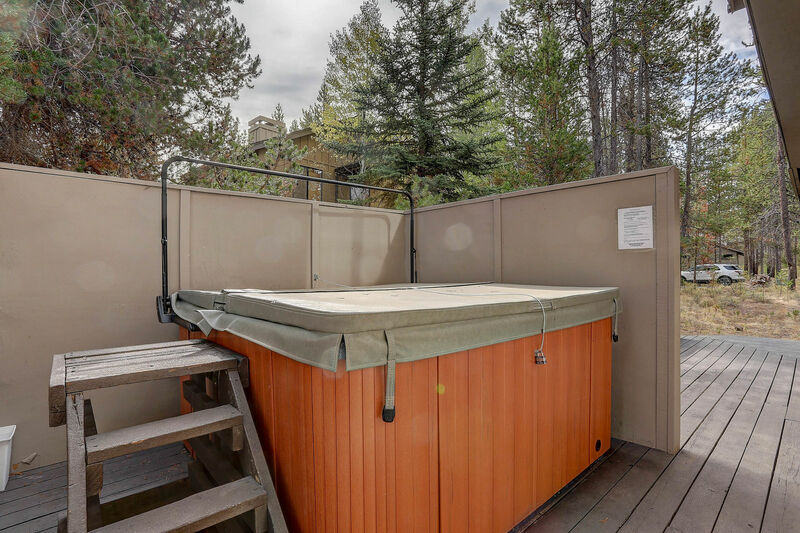 A wraparound porch provides access to the home's private hot tub where you can enjoy 3 Witch Hazel’s serene setting.